I woke up to find myself trapped in a small room, with no idea how I got here or when. A loud chime kept ringing in the distance, almost like someone or something was telling me to go towards it, but how? There were no doors or windows in sight, and… wait, it seems I can… WALK THROUGH WALLS! Sweet free– whoa! That was way too close. 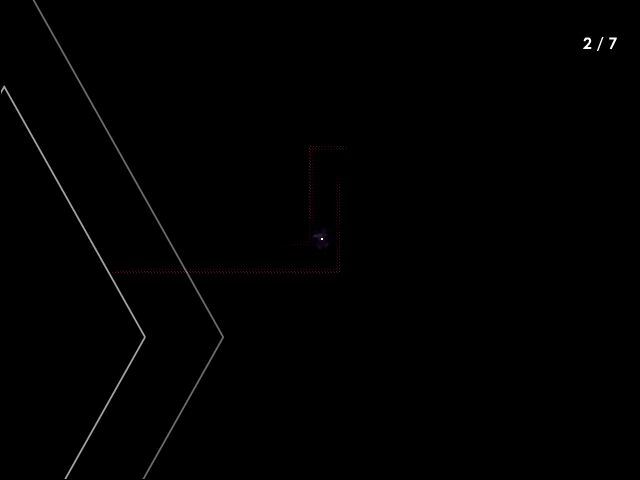 Welcome to Shape of shades, a puzzle game that relies on shadows and a narrow field of view to keep tension high, as you attempt to escape each level. Instead of the typical ‘race to the exit while avoiding obstacles’, you’ll have to collect keys, and then dash towards the exit! Oh, did I mention you can walk through walls? Think I did, at least once or twice, and this is something you’ll be doing quite often, as for the most part, you’re only safe in the ‘outside’ areas; where, unsurprisingly, it’s pitch black. Safe from what, you ask? Well, do you see those cubes with colored edges in the screenshot? 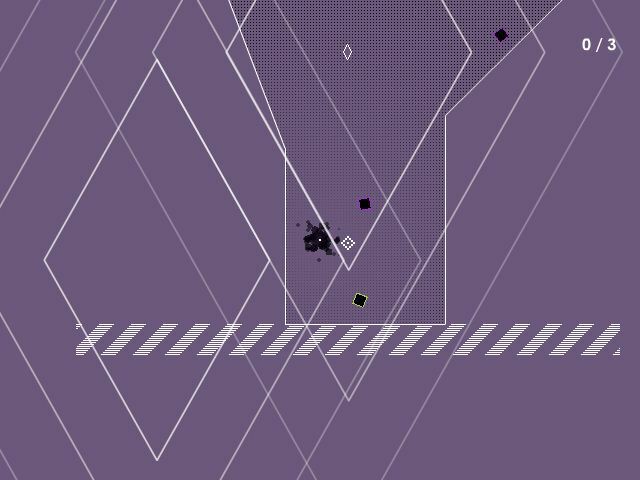 Those things represent turret fire, and one hit will send you back to the beginning of the level, so do try to steer clear of them. There are also enemies which will give chase, but again, they won’t be able to follow you through a wall, so keep that in mind as you run around, collecting keys to unlock the exit. Add that you can’t see what’s hiding around a corner, and you’ve got the recipe for a tricky puzzler. Especially in the later levels, let me tell ya. Since there’s no randomization involved, you’ll eventually figure out how to safely navigate each area, collect the key(s) and get through it in one piece… only to do it all over again in the next one. Fortunately, finding these is not as tricky as it could have been, since they send out a periodic ‘ping’, hinting at their location, so it’s a simple matter of walking through a few walls and surviving a hostile environment to get them. No problem, right? Shape of shades began as a Ludum Dare 26 creation, but has since evolved into a noticeably more user-friendly experience, with lots of tweaks and additional features. Links to both versions can be found here. Enjoy!